Meet Kuli. His name actually means “To look blind”, so it is pretty fitting. This little guy thankfully got a second lease on life thanks to the kindness of his owners. Kuli had to have surgery to remove one of his eyes unfortunately. 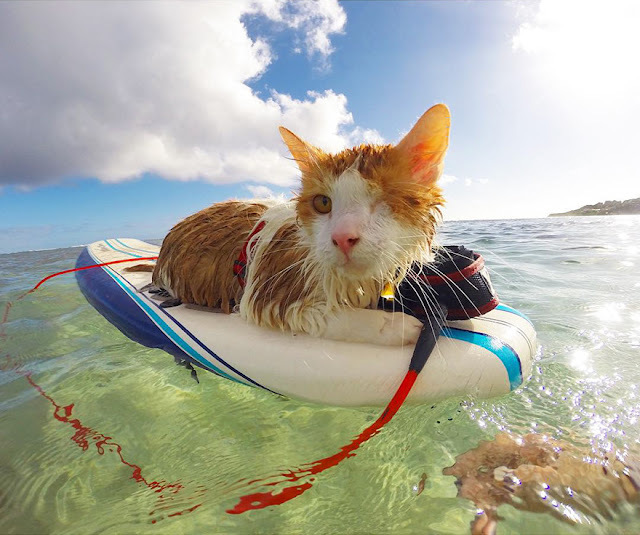 After his surgery his parents would give him baths, which they say is what started his love of his very odd hobby for a cat. 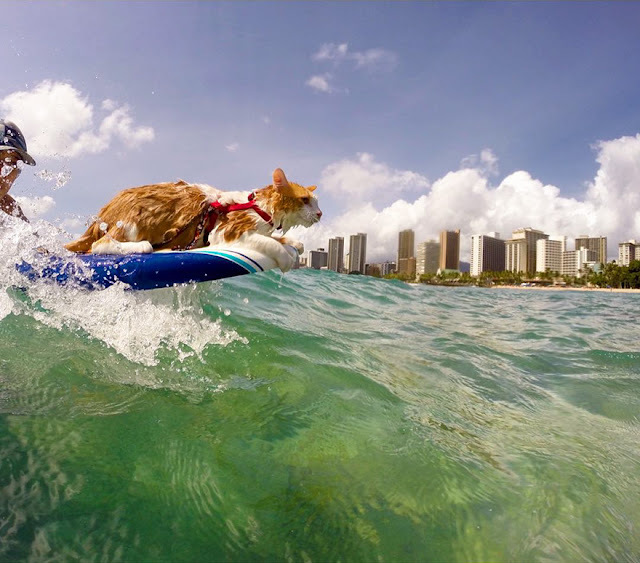 You’ve heard of skateboarding bulldogs and water skiing squirrels? 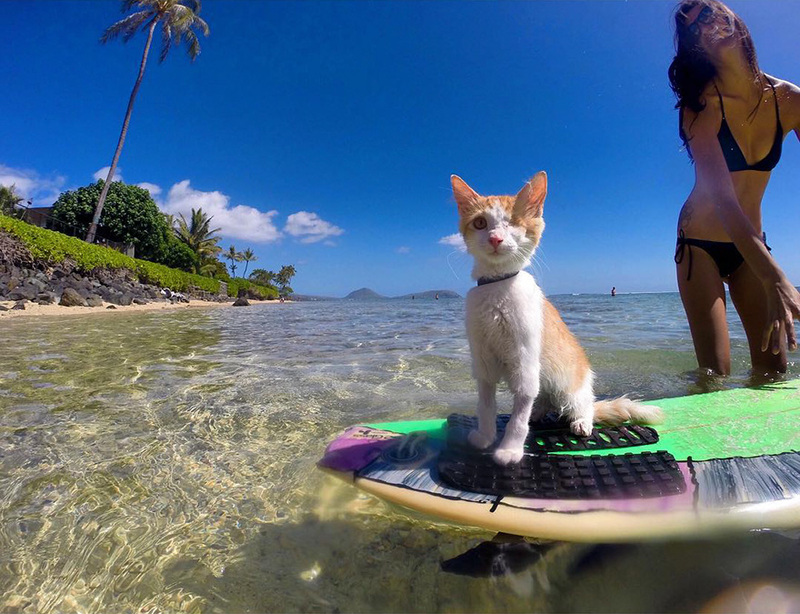 Well meet Kuli the surf boarding cat! The first time his owners took him to the water, he sat on a surf board all by himself in the shallows and his owner would come and push him along. 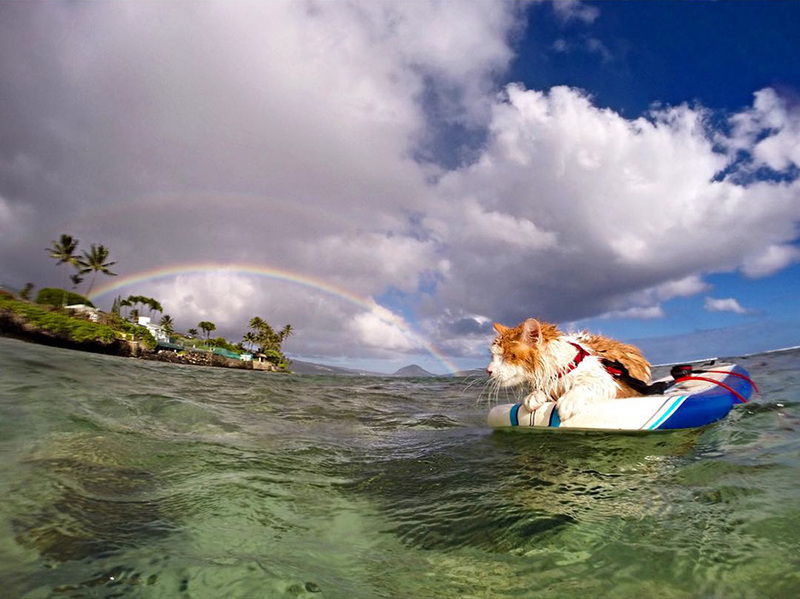 As Kuli became more and more comfortable on a board, his parents would take him deeper and deeper into the water. I’d say he’s pretty comfortable with swimming at this point from the looks of this. He was only 6 months old when he first started his water-loving ways! 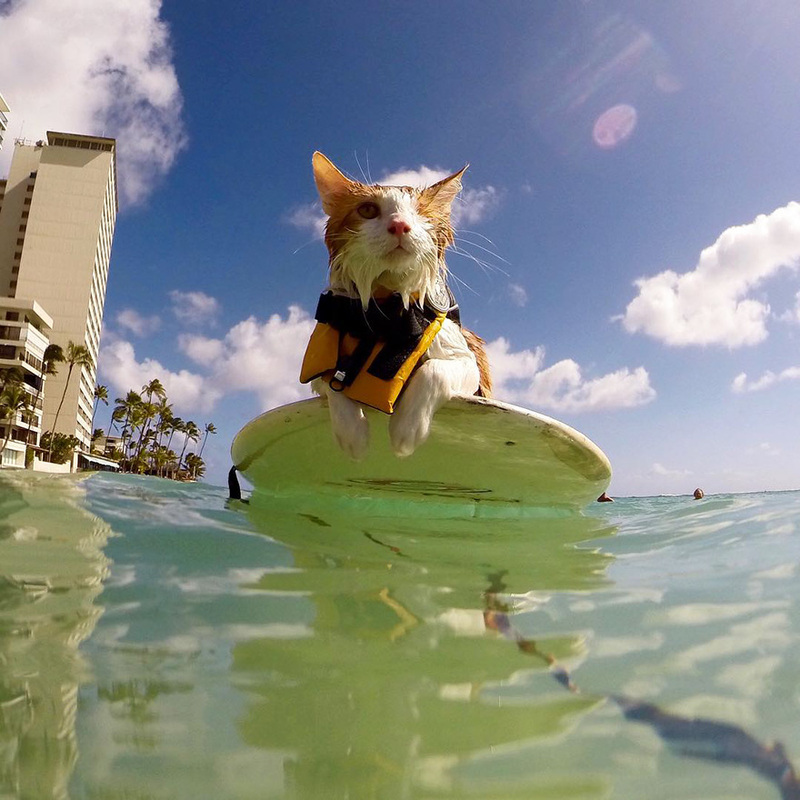 His owners made sure he always wore a life jacket when he was first learning how to swim. He is so proficient however that he doesn’t need one any more. 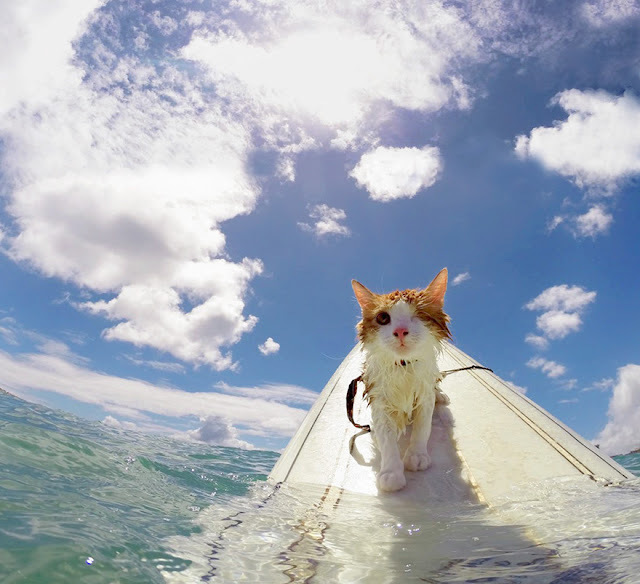 His humans make sure to not take him out in conditions that are too rough or windy. I’m sure Kuli is a good swimmer, but I don’t know how long he would last without a board to climb on to.